AFTER Shown here, the new Fanuc ArcMate 100iC with R30iA control, Lincoln Powerwave 455M, and hollow-wrist welding package fit perfectly into the triple station cell. 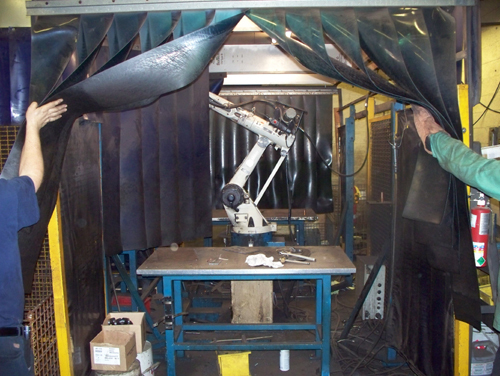 The customer was able to save money by utilizing an existing structure, keep production scheduling similar by utilizing all three stations, while upgrading to the latest robotic welding technology of today. 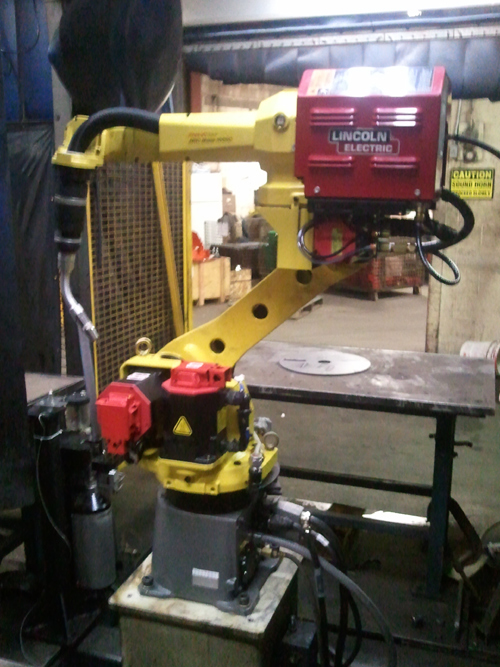 Industrial Robotix purchased the Miller robot and welding package to be used as spare parts. All prices are in USD. Copyright 2019 Industrial Robot Supply, Inc..